Grüve located in Vancouver, Canada has created a new subwoofer specifically designed to be fitted to your already existing headphones. The personal subwoofer has been created to retrofit to over-ear headphones and can be seen demonstrated in the video below. 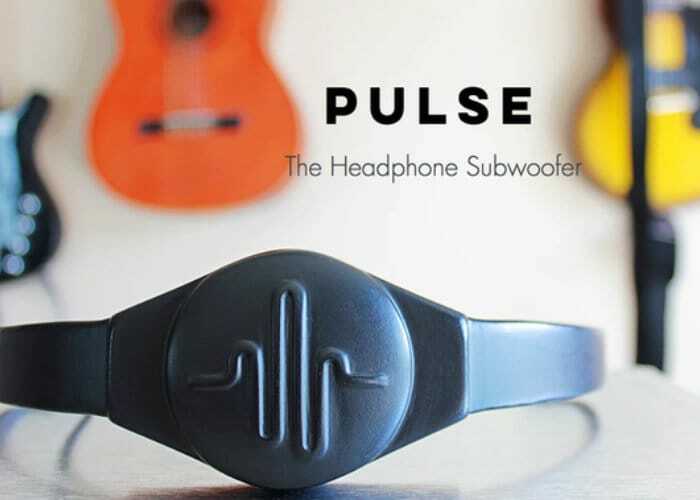 The aptly named Pulse subwoofer has this week launched by a Kickstarter to raise the required CAD$80,000 its development team requires to take the design into production. Pulse works the same way as any 2.1 audio system, With the headband equipped with a powerful 10W driver which has been tuned to only vibrate in the base frequency spectrum. This is demonstrated in the video below allowing you to see the sound waves for yourself. The vibrations from Pulse are then amplified through the ear-cups of your headphones, providing an “unparalleled bass experience” say the creators of Pulse.